Tri-Cities Prep is a member of the WIAA, and participates as a member of the Eastern Washington Athletic Conference (EWAC) in the State 2B classification. In keeping with the overall vision of the school the emphasis of Prep athletics is sportsmanship and fair play. Student participation is highly valued and as such there is a no-cut policy in all Prep athletic programs. Additionally, Prep athletes are held to the highest academic standards. Within a faith-filled athletic environment, Prep athletes learn how to work together as a team. 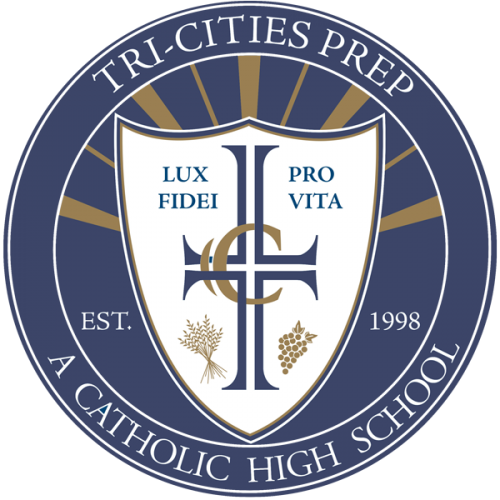 Tri-Cities Prep has won five State titles in Boys Basketball (2009), Football (2009), and Boys Cross Country (2010, 2011 & 2012), all for the greater glory of God.